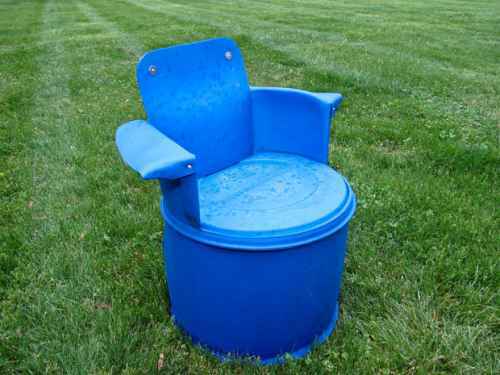 There are many practical, fun, and unique homestead uses for 55 gallon plastic barrels. Because of the recent popularity of these barrels, you frequently can find them for sale at a local store that collects from larger retailers. Often too, you can find them for a decent price online at Craigslist. Still, if you want the best bargain, don’t be afraid to inquire directly with local retailers. Just make sure that you collect plastic barrels that food grade (made from HDPE), and have contained only food type items. 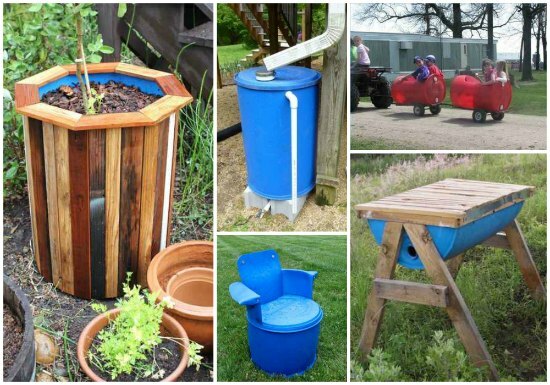 If you love these barrel ideas, check out all the awesome things you can make for your homestead using 55 gallon metal barrels. 1. Make a raised garden bed to use outdoors or in a greenhouse. 2. 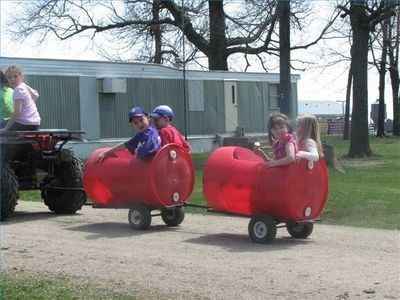 Make a trailer ride by using 55 gallon plastic barrels. 3. 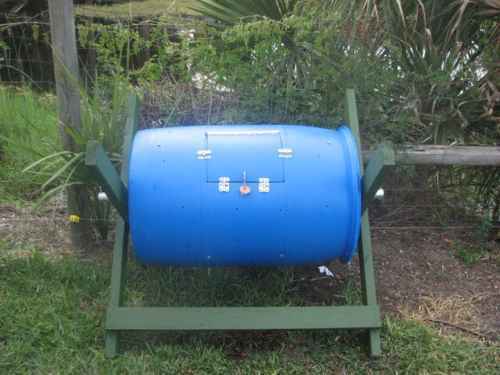 A plastic barrel can easily be converted into a compost bin. 4. 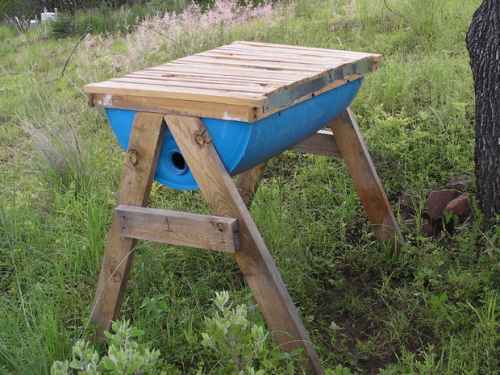 Make a raised bee hive for your backyard. 5. 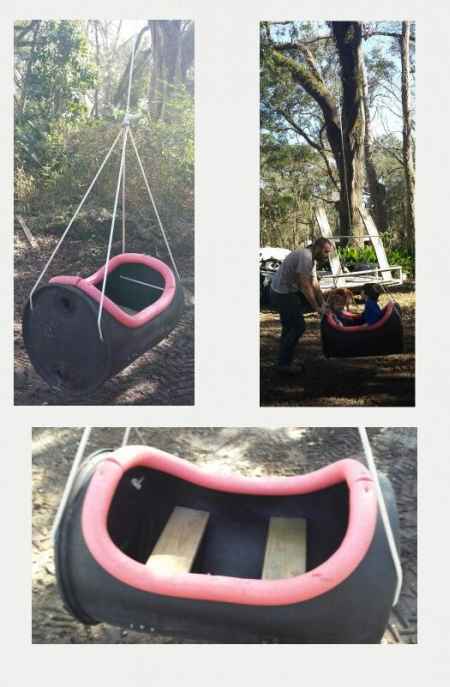 A 55 gallon plastic barrel can make a terrific tree swing. 6. 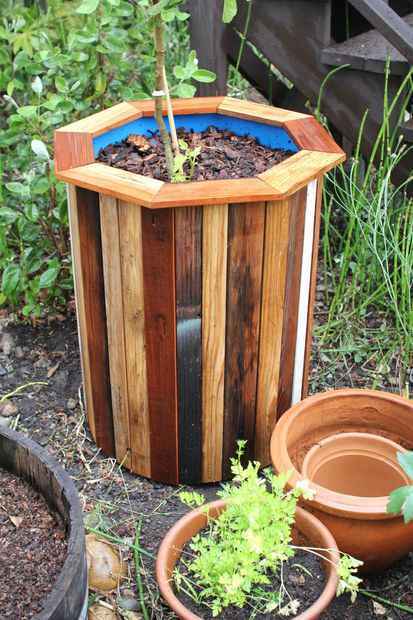 Make a simple DIY outdoor planter. 7. Make your own DIY barrel boat. 8. Build a chair and other outdoor furniture. 9. 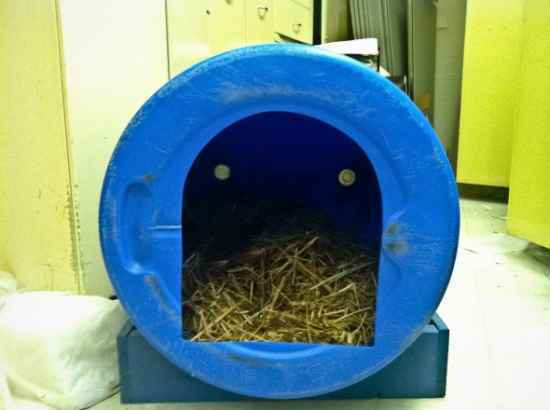 Make a new dog house. 10. 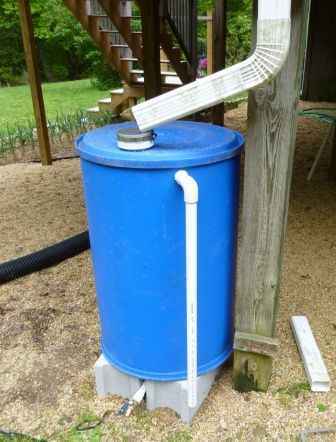 Make a simple rain barrel. 11. 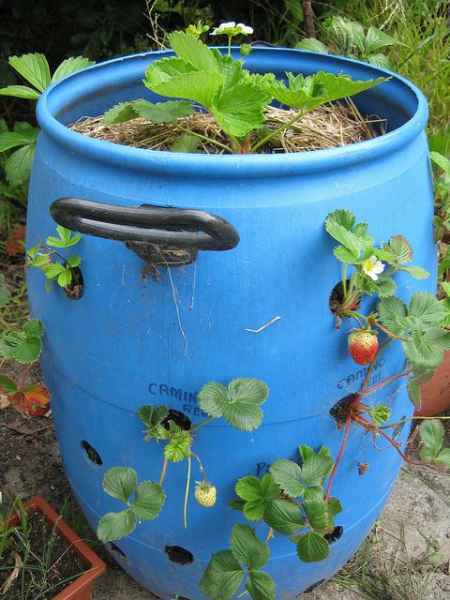 Use a 55 gallon plastic barrel as a strawberry planter. 12. Make an outdoor barrel root cellar. 13. 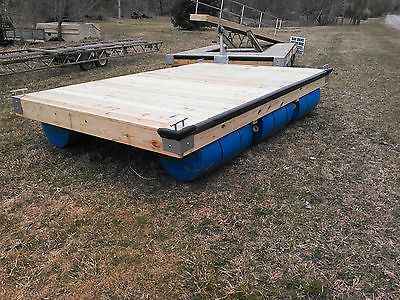 Build a floating dock to use in a pond or lake. 14. 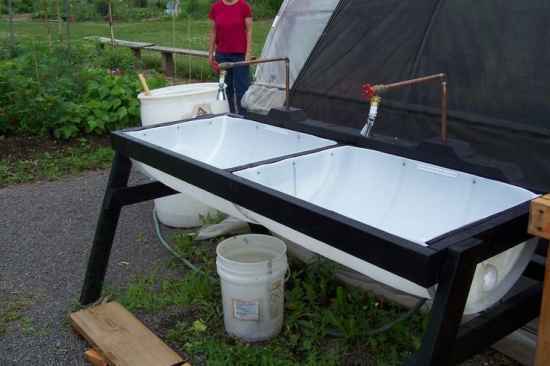 Make an outdoor washing station for fruits and vegetables. 15. 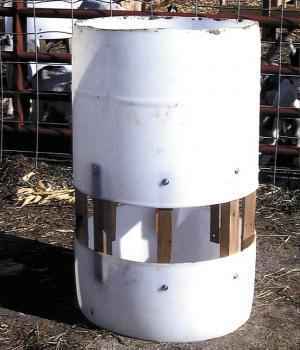 Make a barrel feeder for your goats. 16. 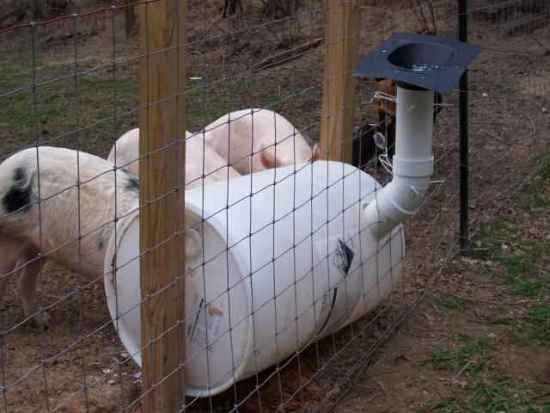 A 55 gallon barrel can be used to make a DIY pig feeder. 17. 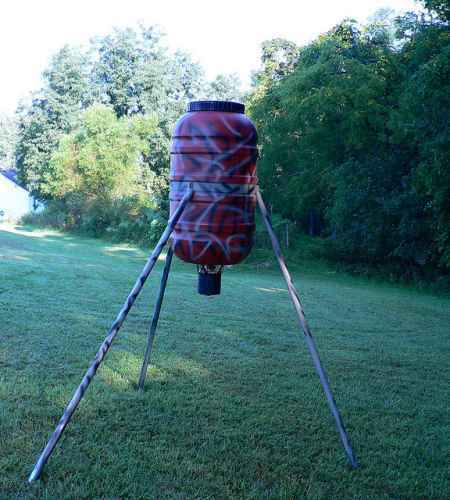 Build a DIY feeder to feed deer on your property. 18. Build your own kayak.